Madrid is a city of contrast. Despite the fact that this phase is a cliché, it is true. In one side is the most devoted catholic city in Spain, in fact is the most visited by any Pope. 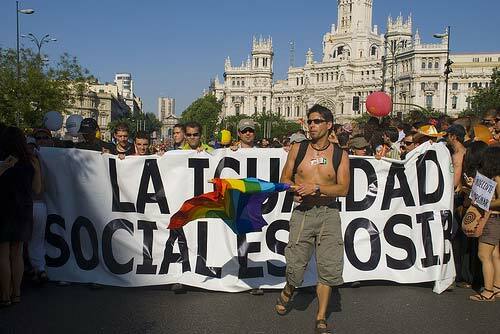 In the other side, Madrid hosts Europe’s biggest gay pride parade every year… isn’t that a big contrast? 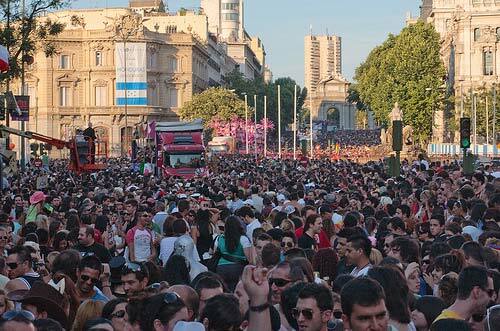 Madrid Pride or MADO is a whole-week celebration including a mass parade, parties and tons of fun. This year it will begin on July 2nd and end on July 6th. Most of the action takes place in the Chueca borough, also known as Madrid gay quarter. The party peak will be along the streets of Madrid on Saturday during the 2-million people parade vindicating the rights of the LGBT community. 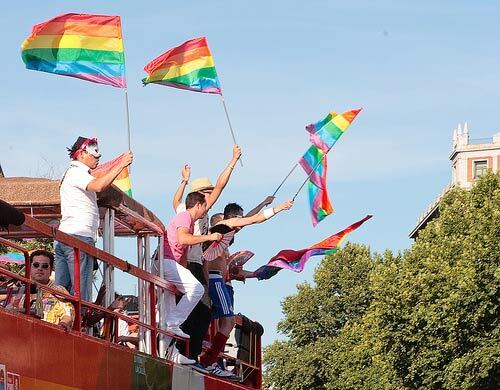 The Madrid Gay Pride Parade 2014 floats will follow a route starting in Atocha Station at 6:00 pm and finishing in Puerta de Alcalá at 11:00 pm. After the parade the party will be set in Plaza Colón all night long. Following the tradition MADO begging with the proclamation in Plaza de Chueca. Conchita Wurst –Eurovision 2014 winner– and Ruth Lorenzo –Spain Eurovision 2014 contester– will inaugurate the Madrid Gay Pride 2014 Fest. From that moment, the six street sceneries located in different city squares –Plaza de Chueca, Plaza de Callao, Plaza del Rey, Calle Pelayo, Plaza de Colón, and Plaza de Vázquez de Mella– will be packed with cultural events, concerts, performances and music. 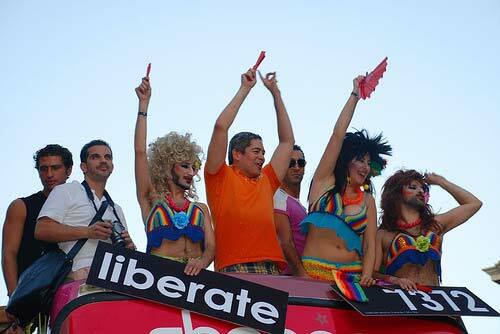 MADO programs includes the celebration of the 7th Gala Mister Gay Pride España 2014. The contest will take place in Plaza de Callao on Saturday 5th of July commemorating the Stonewall riots 45th anniversary. The gala will be presented by Carolina Sobe and will count with several music performances, including Katia Aveiro. The High Heels Race is one of the most fun and emblematic events inside the Madrid Gay Pride program. It will take place along the Calle Pelayo where more than 200 competitors will prove their strength running on 15-centimeters high-heel shoes. Apart from Gay Pride, there are many options for what to do in Madrid if you want to enjoy life with a freeing atmosphere. Your central destination must be Chueca borough, which is located right behind Gran Via, one of the most important avenues in the capital of Spain. You will be attracted by the bars, the restaurants, the hotels and the shops you’ll find there. San Anton Market, located in 24 Augusto Figueroa Street, is a modern market which will amaze you with its urban and open-minded style. You can buy high-quality food products in its shops, cook them in the restaurant located on the roof, and attend concerts and exhibitions. But the best time to visit Chueca and Madrid is in early July. The first weekend of that month, the borough hosts one of the biggest and most colorful gay parades in the world. In 2014, it will be held on July 5th. Thousands of people gather around Plaza de Cibeles, Gran Via and Chueca to dance and meet people. The rest of the days, especially at night, the streets of the borough fill with young men and women coming from all the corners of the city and the continent. Interested in gay tourism? Check Gay Travel Map Internacional an online and printed magazine including the best hotels, restaurants and destinations for the gay community around the globe. The magazine works together with different media companies to expand and promote the growing gay tourist sector. 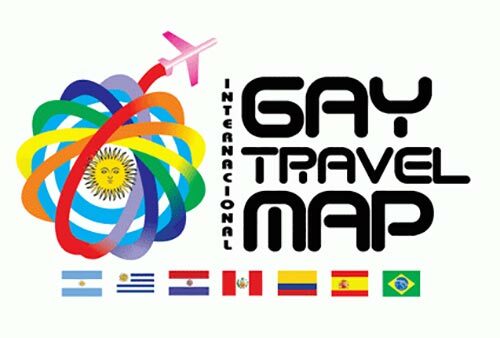 The printed version of Gay Travel Map Internacional is sold in Argentina, Uruguay, Paraguay, Perú, Colombia and España, but it also has a web version available.